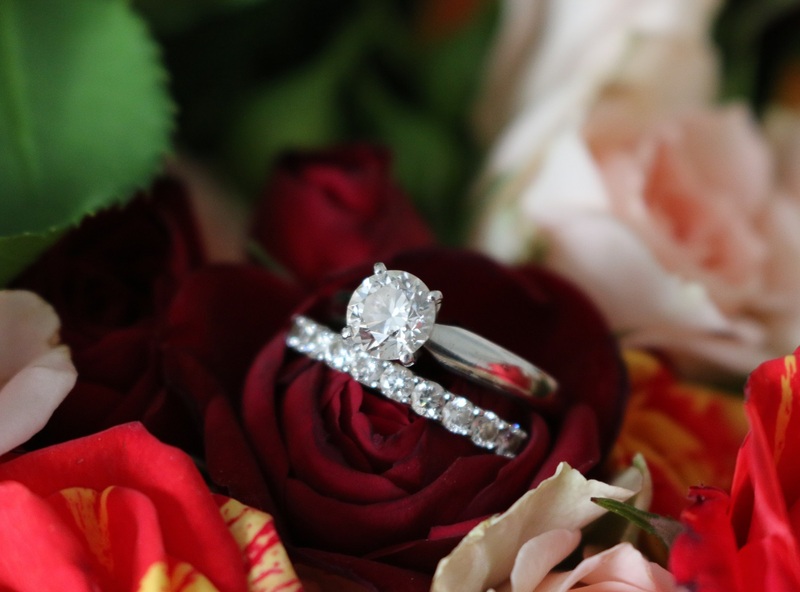 Choosing a wedding band, that embodies who you are as a person can be challenging. You want to ensure you have the perfect stone, shape and design that is truly unique to you, especially if you are going to pair your wedding band with your engagement ring. So how do you go about matching them, you ask? Well, here’s a couple of ideas to help you purchase that perfect ring. There are so many different varieties of wedding bands. First, you want to decide on the metal; gold, silver, platinum? Once you’ve chosen, take into consideration your personal style. I know you want your wedding band to stand out, but you’ll want to keep it within the style of how you dress on a day to day basis. Think how you would describe your style; vintage, bohemian, chic or maybe classic. It’s good to keep these ideas in mind when shopping for your wedding band. This may not work if you’ve already got your engagement ring on your finger, or if you prefer to have a surprise proposal, but knowing which bands pair with which rings can help you make a decision. You want the two rings to sit comfortably next to each other, and shopping for both at the same time means you can mix and match rings to the combination you desire; instead of just being able to change the one ring. Make sure you size it right! A lot of people rarely remove their wedding bands, instead choosing to wear them through all sorts of occasions and seasons. However, the change in season, the heat and pregnancies can cause your fingers to expand or shrink; which will mean your ring will no longer fit. The best chance of getting a good sizing is to schedule your final ring fitting when your body temperature is normal and emotionally you are calm. So you have the basics for your wedding band, but what else do you need to consider? As I mentioned before, you want to decide what metal you want your band to be made of. Next look at the shape of the band; does it complement the shape of both your finger and your engagement ring? Then it’s time for the most crucial part, the stone. What type of stone do you want? A sapphire, emerald or diamond? To help you decide, take a look at ascotdiamonds.com for some ideas. Now that you have a basic idea of want you want your ring to look like, start shopping! Try on a variety of different rings, and make sure you get your sizing right! You want to give yourself enough time before the wedding to choose the perfect wedding band. Give yourself at least two to three months before you walk down the aisle to ring shop. Enjoy shopping for your perfect wedding band, and remember to give yourself plenty of time to try on different rings. Have the most fabulous wedding day!